At the start of the holiday season, getting the home ready is kind of a work in progress. You might put up the Christmas lights on one day and the Christmas tree on another. 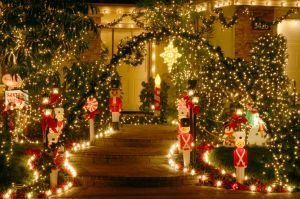 You’ll start adding other things to the house to make it look festive. And there’s all those decorations you buy brand-new each year to add to the holidays. Of course, when it is time to take all of that down you want to go fast. In fact, most folks dedicate the morning or afternoon right after New Year’s Day to pack up all the decorations for another year. When you put things into storage, you’ll probably notice that you have plenty of room or you’re running out of space. If it is the latter that is time for session with Junk King Palm Beach. One post-Christmas cleanup session with these junk hauling pros and you’ll have plenty of room in your home to store all kinds of things. How many things are you keeping in storage you think you could get rid of? There are probably a lot of things in your closet that could be got rid of like shoes, sweaters, jackets, pants, shirts and all kinds of other outfits that you know you’ll never wear again. There could also be things tucked away on shelves in the closet that you been forgotten about. Want to be nice to be able to find an outfit without having to fight your way through things that are just cluttering up the space? All you have to do to make that happen is to put Junk King on the job. The moving crew the Junk King is going to send over will have no problem removing all kinds of items from your home. Those items can be big and bulky like a sectional sofa or small like a box of kitchen utensils. Junk King primary focus is to make sure you are completely satisfied that means loading up their truck which is much of your stuff is you want to get rid of. You have an opportunity to transform your home with your post-Christmas cleanup when you bring in Junk King Palm Beach for some thorough rubbish removal. This entry was posted in Palm Beach Junk Removal and tagged Junk King, junk removal, post Christmas cleanup on December 31, 2018 by Junk King. Last updated December 31, 2018 .